Washing your clothes in your beloved Whirlpool washer and dryer can turn from a chore into an easy accomplishment. That’s especially true if you are not just using a great brand, but also follow these 4 interesting Laundry Tips and help make your life easier. For many clothing items, the washing instructions will be printed out on the label. This, of course, will make understanding how to care for your clothes easy and straightforward. But what if there are only symbols? If you haven’t taken the time to understand what each symbol means, you may find yourself with a brand new item of clothing ruined because it was washed too warm and mistakenly put in the dryer. Decoding these symbols, on the other hand, puts you on your way to washing your clothes the right way from the beginning. Especially if you travel abroad, this step becomes very important. Not all brands of clothes will have english instructions, so by understanding the symbols, you’ll be armed with the knowledge needed to wash your new garments. When you are doing laundry, the idea of saving money is always important. One way to help reduce the cost of doing laundry is to make sure you have full loads. Of course, it’s just as important to not overfill your washer or dryer, because they won’t be able to do their job as efficiently and could require another cycle. But if you wait to do laundry when you can actually wash a full load, you will save yourself money by not using excessive amounts water or electricity. This little tip may not seem like it would make a difference. But over the span of a month it will add up. Plus, it’s an eco-friendly choice, especially if you go by the amount that your washer and dryer can take. And of course, if you are really looking to make an environmentally-friendly decision, getting a new and energy efficient Whirlpool washer and dryer is a great choice. This may seem like an obvious concept, but for some people, reading instructions is a painful task they’d rather avoid. But when you get a new washer or dryer, it’s important to do just that and truly understand what each cycle will do. You may not know otherwise that some cycles are better for different fabrics and types of clothing. The same is true for your dryer. It may have different heat settings, some with a cool down mode in order to avoid excessive wrinkles. By reading up on all of your washing and drying options, you can decide what is best for your laundry and use the right settings accordingly. Or, if you have purchased a home that already comes with a washer and dryer, consider having a professional come in and give you a rundown on how they work. This knowledge will be particularly useful if you are using older machines and are only accustomed to new ones. Your washing machine in particular is important for your everyday laundry needs. In order to keep it running well and doing its job, it’s vital to keep it clean. You may want to see if the manufacturer has any tips or advice on how and what to clean your machine with. But regardless, it’s important to help eliminate any excess bacteria that could build up; by taking the time to clean your machines, you can also help to extend its life. One potential DIY method is to take 4 cups of either white vinegar or non-chlorine bleach, and run your washing machine on the longest and hottest setting. Once it’s agitated for several minutes, open the lid and allow this mixture to sit and soak for an hour. Then, you can close the lid and let the cycle finish running. If your machine is particularly dirty, you can run this cleaning process a second time. But especially if you wash clothes with oils and grease and grime on them, the residue can build up in your machine over time. So even though its job is to clean, it also needs cleaning to keep it in good shape. 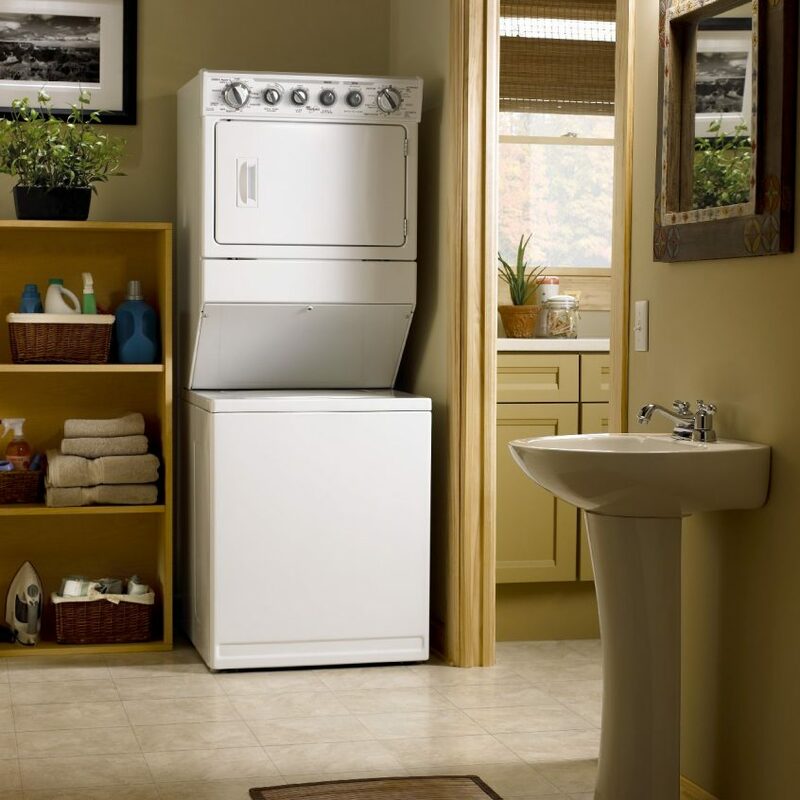 To learn more about your Whirlpool washer and dryer, please contact us.